On Tuesday, Columbian drug lord Alex Cifuentes Villa testified in the Joaquín "El Chapo" Guzmán Loera trial. 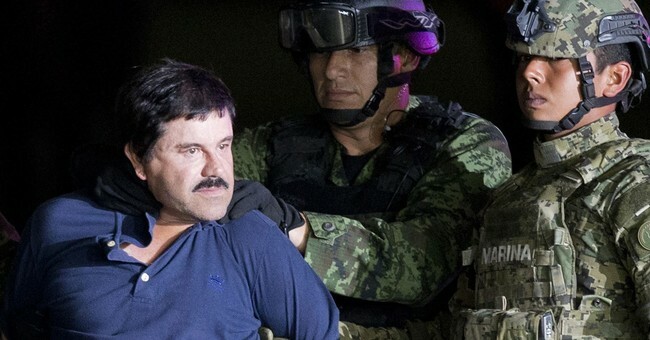 During his testimony, Villa said El Chapo paid former Mexican President Enrique Pena Nieto $100 million in bribes, The New York Times reported. According to Villa, Nieto reached out to El Chapo first and asked for $250 million to call the manhunt off for the wanted drug lord. El Chapo counter offered $100 million and Nieto accepted. “Mr. Guzmán paid a bribe of $100 million to President Peña Nieto?” Jeffrey Lichtman, one of Mr. Guzmán’s lawyers, asked Mr. Cifuentes during cross-examination. “The message was that Mr. Guzmán didn’t have to stay in hiding?” Mr. Lichtman asked. There have been other allegations of other government officials receiving bribes from El Chapo but the news of Nieto, if true, would be the most shocking. It would mean the drug cartels truly do have a hold on Mexican officials. After testifying about the two presidents, Mr. Cifuentes rattled off other bribes that Mr. Guzmán and his allies had paid to Mexican officials. On at least two occasions, he said, the kingpin gave the Mexican military between $10 million and $12 million to launch operations to “either kill or capture” associates of the Beltrán-Leyva brothers during his war with them. Mr. Cifuentes also said the Mexican federal police not only turned a blind eye to drug trafficking, but occasionally took part in it. Once, he told jurors, traffickers gave the police photographs of several suitcases packed with cocaine that were sent by the cartel on an airplane from Argentina to Mexico. The police picked up the suitcases from the baggage claim, Mr. Cifuentes said, and sold the drugs themselves. All of this came on Mr. Cifuentes’s exhausting second day as a witness at Mr. Guzmán’s trial. He has already confessed to a staggering array of crimes. Back in 2012, it was reported that the Juarez cartel funneled money to Nieto's campaign through various shell companies. El Chapo ran the Sinaloa Cartel, which is said to be the biggest drug trafficking organization in the world. This particular cartel controls the majority of drugs that make it to the United States. According to the Daily Wire, the Drug Enforcement Administration's 2018 Threat Assessment said Mexican Transnational Criminal Organizations (TCOs) "remain the greatest criminal drug threat to the United States; no other group is currently positioned to challenge them."